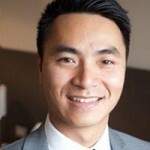 Background - Dr Chin completed a Diploma in Paediatrics after graduating from the University of New South Wales in 2004 with First Class Honours. She obtained her Fellowship in the Royal Australian College of General Practitioners in 2011. She has worked as a GP in the Inner West since 2009. Special Interests - Dr Chin loves all areas of general practice, including women's and children's health, and is accredited for Antenatal Shared Care at RPA and St George Hospital. She enjoys being involved in the teaching and training of GP registrars as a clinical teaching visitor and examiner for the RACGP. Personal Interests - Outside of work, Dr Chin enjoys spending time with her husband and 3 young children, devouring books, and satisfying the right side of her brain with miscellaneous creative projects. 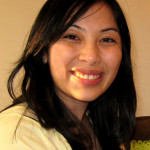 Background - Dr Lin graduated from University of New South Wales in 2006. She previously trained in Paediatrics at Children’s hospital at Westmead and Sydney Children’s hospital for 3 years. She has a diploma in Paediatrics obtained in 2010. Special Interests - Paediatrics, Women’s health, travel medicine and mental health. Fluent in Mandarin. Personal Interests - Outside of general practice, Dr Lin enjoys spending time with her family, watching movies and hosting dinner parties. Background - Dr Berenson has been a GP for over 40 years, she has recently become a resident of Glebe. Special Interests - Her medical interests are predominantly Women’s Health and Paediatrics and she is registered for shared Ante-Natal Care with Royal Prince Alfred Hospital and Canterbury Hospital. Personal Interests - Helena is the mother of 2 grown-up sons and her hobbies include music and swimming. Background - Dr Ritchie qualified as a GP in New Zealand and started his own practice in 1985. This grew into an integrative Medical Centre with 5 doctors and some 30 staff. Special Interests - He has a strong interest in child health and child development and behaviour. He has an interest in chronic illness and working with a team to improve quality of life for each patient. Background - Dr Vickers graduated from the University of Sydney with an MBBS and BMedSci in 2014 and has worked at Concord, Canterbury and Broken Hill Hospital before commencing GP training in 2017. Special Interests - He enjoys paediatrics, men's and women's health, mental health and sports medicine. Personal Interests - Outside of work he likes to spend time playing golf and travelling. Dr Alison Kennedy MBBS, FRACGP, DCH, B Bus. Background - Dr Kennedy graduated from the University of Sydney in 2017. She has worked at many hospitals before coming on board as a GP. Special Interests - She is interested in all aspects of general practice, but particularly womens health, preventive health, children's health. Registered ANSC provider. Personal Interest - Outside of the medical centre she spends lots of time looking after her 2 lovely children. Background - Dr Kirsty Wallace-Hor graduated from the University of Sydney in 2015. Prior to starting her GP training she worked at Concord and Canterbury Hospitals. She obtained a Diploma of Child Health in 2017. Special Interest - She has a special interest in Women's health, paediatric medicine, mental health and preventive medicine. Personal Interests - Outside of the medical center she likes to play tennis and watch movies. Sarah is an experienced psychologist who is passionate about supporting and empowering people to bring about positive change in their lives. Her work is based on the principles of trust, respect and collaboration. She draws on a number of evidence-based therapies, tailored to the strengths and needs of the individual client. Some of these include Cognitive Behavioural Therapy (CBT), Acceptance and Commitment Therapy (ACT), Dialectical Behaviour Therapy (DBT), and Mindfulness-Based Cognitive Therapy (MBCT). Sarah specialises in working with adult survivors of trauma including those that have experienced child abuse and neglect, domestic violence, sexual assault, combat trauma or refugee experiences. 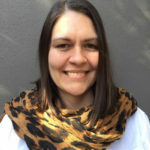 In addition, Sarah has experience in working with issues faced by LGBTIQ clients including identity, coming-out, relationships, and parenting.Sarah has worked with clients experiencing a wide range of issues including depression, anxiety, stress, Bipolar Disorder, Panic Disorder, PTSD, Complex Trauma, personality disorders, bullying, self-esteem and shame, perfectionism, post-natal depression, cross-cultural adjustment and expat relocation. Samuel has over 10 years’ experience in Occupational Health, specialising in the treatment of Persistent Pain Patterns and Postural Distortions. 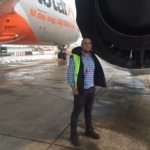 The majority of Samuel’s work has been within the Aviation Industry and working with Employees to tailor treatment programs specific to their Functional Role. Samuel utilises a variety of techniques in his treatment sessions including Structural Integration, Body Reading, Trigger Point Therapy, Dry Needling, Suction Cupping and Neurofacial Release. Studying the relationship between the Peripheral Nerve Pathways and the Body’s Connective Tissue to Identify and Correct Long Standing Dysfunctional Movement Patterns. 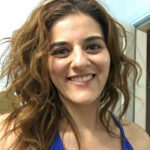 Georgia is a registered Psychologist that has been practising since 2013 in Newcastle and more recently in Sydney from May 2017. She has experience working in inpatient and outpatient hospital settings.She loves working with clients in both group formats and individually. Her experience allows her to work with clients across the lifespan who have presented with a range of mental health disorders. She is very passionate about supporting clients to build a better understanding of their emotions and in helping them to process and express difficult and/or repressed emotions in the hope that clients can free themselves to move forward with lives that are rich and meaningful for them. In order to support clients in symptom management she mostly uses interventions from the following therapy modalities; Acceptance and Commitment Therapy (ACT), Cognitive Behavioural Therapy (CBT),Dialectical Behavioural Therapy (DBT), Interpersonal Psychotherapy (IPT) and mindfulness. Jess graduated with Masters of Physiotherapy in 2012 from the University of Sydney, and also completed undergraduate study in Exercise and Sport Science in 2007. Jess has also undertaken further training in Dry Needling and Shoulder courses. The goal of her treatment is to combined Physiotherapy and Exercise management to achieve a long term change. 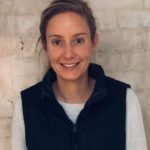 Having had a variety of sporting injuries over the years, Jess has a particular interest in the in-depth analysis of the causes of injuries, looking at the patient holistically and viewing the person as a whole, not just focusing on the injury area. Outside of work Jess enjoys watching sport, going out for dinner and travelling. 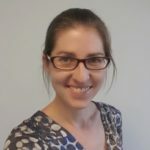 Lauri Teperson is an Accredited Practicing Dietitian who completed her Bachelor of Nutrition and Dietetics (Hons) from the University of Newcastle. Lauri believes prevention is better than cure because if you don’t make time for your health, you’ll soon have to find time for sickness. Lauri is passionate about evidence-based practice. By keeping up with current research, Lauri is able to translate the latest clinical findings into practical advice for her clients. Lauri is always up for a challenging case but takes special interest in weight management, IBS, Diabetes as well as the non-diet approach. When not in the clinic, Lauri can be found outdoors discovering another one of Sydney’s beautiful coastal walks or foodie cafes. Cathy Cheng is the full time nurse at Harold Park Medial Centre. She completed her bachelor of nursing in University of Technology with a major in mental health, and then worked as a practice nurse in Liverpool area. She also had worked as a nurse in aged care settings before starting in general practice. Cathy has huge interest in mental health in old people and chronic diseases management. She enjoys any chance to further developing her nursing skills and knowledge in this life long learning process. Cathy is also a hip hop dancer during her spare time. Cathy works on a full time basis as the Manager at Harold Park Medical Centre. She is currently studying nursing at ACU. In her free time she like to go on road trips and spend time with her family. 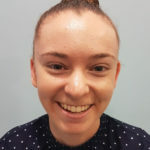 Madlin works as a full time receptionist at Harold Park Medical Centre.She is studying to become a primary teacher, in her spare time she loves to read, cook and spend time with her family and friends. Sophie is our casual receptionist at Harold Park Medical Centre. She is currently studying Law at ACU. Sophie enjoys playing futsal, playing the piano, and visiting her family in the Upper Hunter. Olivia is our newest casual receptionist. 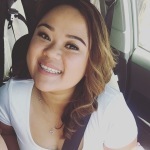 She is currently studying a bachelor of business at UTS. Outside of work she is really passionate about health and fitness, so she enjoys activities such as going to the gym and dancing. Susan is one of our permanent receptionist. She has been working as a medical receptionist in different locations in Sydney for 6 years. She is the mother of 3 adult children. Susan also enjoys music, yoga and going to the beach, she follows rugby league and horse racing.